(Reuters) — Virginia Governor Terry McAuliffe on Tuesday vetoed a Republican-backed bill aimed at blocking state funding for Planned Parenthood, which performs abortions and provides other health services. 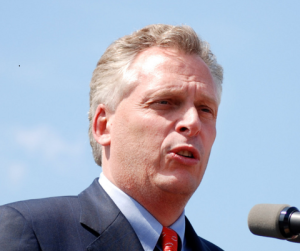 McAuliffe, a Democrat, said the bill passed by the Republican-dominated legislature would harm thousands of state residents who relied on Planned Parenthood for health care. “The fact is that Virginians, and particularly low-income Virginians, need more access to health care, not less,” he said in a statement. Several states have sought to cut off funding for Planned Parenthood following the release of videos secretly recorded by an anti-abortion group. Activists have said the videos showed that Planned Parenthood officials in some states had discussed the sale of aborted fetal tissue. Planned Parenthood has denied the accusations. President Barack Obama in January vetoed a effort by Congress to defund Planned Parenthood.